HUGHES, KATHERINE (Catherine) ANGELINA, teacher, journalist, public servant, author, and Irish political activist; b. 12 Nov. 1876 in County Line (Emerald Junction), P.E.I., daughter of John Wellington Hughes, a merchant, and Annie Laurie O’Brien; d. 26 April 1925 in New York City. Katherine Hughes was the second youngest of nine children in a close-knit, lower middle class, Irish Catholic family in which service on behalf of the church was highly valued. Her uncle Cornelius O’Brien* was archbishop of Halifax from 1883 until 1906. Hughes was educated in Charlottetown at Notre Dame Convent and at Prince of Wales College, from which she graduated with a first-class teacher’s licence in 1892. Little is known about her early career. It is likely that she followed her family which had moved to Ottawa around 1890. Biographical sketches claim that she was involved in mission work for the “uplift” of natives in eastern and central Canada. In the summer of 1899 she was employed as teacher at the Mohawk reserve of Saint-Régis (Akwesasne). Two years later Hughes launched, with ecclesiastical support, the Catholic Indian Association, which sought to find employment outside reserves for graduates of Indian schools and, reflecting contemporary attitudes to natives, assimilate them. By the time Hughes left Saint-Régis and the teaching profession to undertake “literary work” in 1902, she had already established a modest reputation as a writer. In stories published by the Catholic World (New York) and the Prince Edward Island Magazine (Charlottetown), she drew on her experiences amongst the natives, whom she presented in a sympathetic light. As the contributor of “Canadian forests and timber interests” in John Castell Hopkins’s Canada, an encyclopaedia of the country, she demonstrated her versatility and sureness in mastering assignments. Employed by the Montreal Daily Star from 1903 to 1906, Hughes joined Kit Coleman [Ferguson*] and other female journalists travelling by train to the world fair at St Louis, Mo., in June 1904. A founding member of the Canadian Women’s Press Club, which was established en route, Hughes, unlike many of her colleagues in that organization, did not graduate eventually to the social reform movement; she preferred instead, as did many Catholic women, to channel her energy into church-connected projects. In 1906, the year in which she published her first book, a hagiographic study of her uncle, Hughes moved to Edmonton as a journalist on the Edmonton Bulletin, where her duties included reporting on sessions of the Alberta legislature. The Edmonton years were exceptionally busy ones in which Hughes displayed her ability not merely to adapt to a new environment but to succeed as administrator and organizer and to impress men of influence and power. Appointed first provincial archivist of Alberta in May 1908, she set about developing the Bureau of Archives. Seconded in 1909 to the premier’s office, she served as private secretary to Alexander Cameron Rutherford* and to his successor, Arthur Lewis Watkins Sifton. She renewed her acquaintance with Albert Lacombe*, the famous Catholic missionary, and agreed to write his biography. Father Lacombe, the black-robe voyageur was published in Toronto and New York to critical acclaim in 1911. Hughes remained active in the Canadian Women’s Press Club and participated in the work of the Women’s Canadian Club of Edmonton. 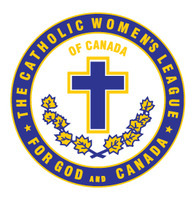 In order to assist newly arrived Catholic immigrants, especially those from eastern Europe, she established the Catholic Women’s League of Edmonton in November 1912, the first branch of an organization that was not launched nationally until 1920 [see Bellelle Guerin] (when Lauretta Hughes Kneil, Katherine’s sister, would be the organizing secretary). A successful political insider in the era before women’s suffrage – which she is on record as opposing in 1913 – she gave no inkling of the major change that was about to occur in the course of her career when, in September 1913, she transferred to London, England, to take up a position as assistant and secretary in the office of the agent general for Alberta. Although she had displayed no interest in Irish affairs previously, Hughes made the acquaintance in London of prominent figures in the Irish cultural revival and political separatist movement. In the summer of 1914 she travelled to Ireland and, in her official capacity, met with Lord Aberdeen [Hamilton-Gordon*], lord lieutenant of Ireland, and Lady Aberdeen [Marjoribanks*]. However, in a private capacity she journeyed to Killarney to attend the annual week-long cultural festival of the Gaelic League. Back in London, she set about learning the Irish language, probably under the direction of Pádraic Ó Conaire, the London-based Gaelic writer, with whom she co-authored The cherry bird, a play in English. She studied Irish history and literature, and commenced an in-depth examination of the economic advantages to Ireland of its political independence. Katherine Hughes, or Caitlín Ní Aodha, as she styled herself on occasion henceforth, was transformed from a loyal Canadian public servant to a committed supporter of Irish cultural renewal and of Irish separation from Britain. 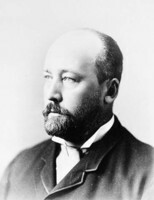 Hughes was highly rated by Sir William Cornelius Van Horne*, who had provided a preface to the Lacombe biography, and she and the railway tycoon had agreed to collaborate on a series of books dealing with the Canadian Pacific Railway. When Van Horne died in September 1915, Hughes was commissioned by Richard Benedict Van Horne to write his father’s biography. Resigning her government position, she returned to Canada and, based in Montreal, spent much of the next few years travelling and collecting material for the biography and preparing a draft copy. However, she had not lessened her commitment to Ireland. In her trips around North America, she made contact with supporters of the Irish separatist movement. The Easter rising against British rule in 1916, and the subsequent execution of its leaders by the British authorities, caused her to increase her involvement in organized efforts for Irish independence. Frequently citing the sacrifice of Canadian soldiers on the battlefields of Europe on behalf of the liberation and rights of small nations, Hughes presented a carefully reasoned case for Irish self-determination in her 1917 monograph Ireland (Kingston, Ont.). Yet, in wartime Canada others viewed her championing of Irish independence as treason towards the British empire. Upon presenting a draft of the Van Horne biography to R. B. Van Horne in August 1918, Hughes moved to Washington, D.C., where she established on behalf of the Irish Progressive League an organization to disseminate information and lobby politicians in support of Irish self-determination. With her immense experience as an administrator and valuable knowledge of the political process, she played an important role within the Friends of Irish Freedom, the umbrella organization for pro-Irish groups, in creating the blueprint which gradually transformed amateurish propaganda efforts into a professional publicity campaign. Hughes spent late 1919 and early 1920 touring the southern states, preparing for the arrival of Eamon de Valera, president of the unilaterally declared “Irish Republic.” A devotee of de Valera, she avoided much of the controversy that would arise between him and the Irish American leaders because she returned to Canada in May 1920 at his apparent request to mobilize Irish Canadian opinion. In conjunction with Robert Lindsay Crawford, an Irish-born journalist and former Orangeman, and under the watchful eye of the Royal Canadian Mounted Police – which reported to Arthur Sifton, now federal secretary of state – Hughes made preparations to launch the Self-Determination for Ireland League of Canada and Newfoundland. In choosing this benign title for the new organization, and in avoiding the use of the loaded terms “Freedom” or “Republic,” the leaders sought to build a broad coalition of Irish Canadians, other ethnic groups, and social reformers. In early July 1920 Hughes began a tour which took her from the Maritimes to the Pacific coast, back to Atlantic Canada, and on to the Dominion of Newfoundland. She established branches of the Self-Determination for Ireland League in most major urban centres, ensuring before she moved from one location to the next that she had left a strong committee, made up of respectable local business people and professional figures, to continue the work. Well received in eastern and central Canada, Hughes’s activities attracted the attention of opponents in the west, although she was not a victim of physical violence as Crawford was. In an atmosphere of hostility from the establishment and threats of violence, delegates representing the estimated 25,000 league members, and representatives of other bodies including the Société Saint-Jean-Baptiste, assembled in Ottawa for the league’s first national convention on 16–17 Oct. 1920. Hughes was introduced “as the woman who had done more than any other for the cause of Ireland in Canada.” However, by the time that the convention concluded, with Crawford elected as president of the league, Hughes knew that she had no further role to play in Canada. At de Valera’s urging, she agreed to travel to Australia and New Zealand to set up sister organizations. 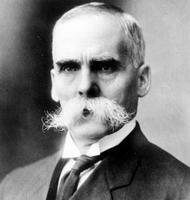 Hughes’s commitment to travel to Australia coincided with publication of the biography of Van Horne. 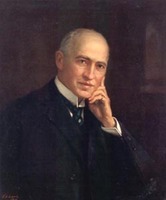 Though Walter Vaughan was credited as sole author, he admitted in the preface to The life and work of Sir William Van Horne (New York, 1920), “Much of this volume . . . is frankly based on Miss Hughes’s material, and wherever it has been possible I have used and adapted her rough narrative.” In reality, Vaughan’s contribution was limited to editing Hughes’s manuscript, for this published biography is merely a shorter and tighter version of the work she had researched and written. Bitter and angry, and firmly convinced that she was being punished by the establishment, as personified by R. B. Van Horne, for her advocacy of Irish independence, but lacking resources to mount a legal challenge, Hughes headed to Australia. In February 1921 the Melbourne Catholic paper, the Advocate, reported her presence. In the following months Hughes, using the Canadian model, made contact with local activists, united disparate Irish groups, and successfully launched self-determination leagues in Australia and New Zealand. After this campaign, Hughes travelled to Paris in September 1921 at de Valera’s bidding to coordinate the Irish World Race Congress to which representatives of the Irish diaspora were invited. Scheduled for January 1922 and heralded as a major publicity event for the “Irish Republic,” the congress was overtaken by political developments. The Anglo-Irish treaty of December 1921, which bestowed dominion status on a new Irish Free State and recognized the right of Northern Ireland to secede, divided Irish nationalists and set the scene for civil war. Hughes returned to North America in April 1922 to find that the pro-Irish networks, reflecting splits within Ireland, had fragmented. Marked as an agitator for whom Canada offered no future, she described herself in 1924 as “a once-upon-a-time Canadian.” If not evidence that she had become a naturalized American citizen, her words suggest that she had turned her back, politically, psychologically, and emotionally, on her native country. Based in New York, she was dogged by ill-health and did not have steady employment. Politically, she remained loyal to the ideal of a fully independent Irish republic. When she died of cancer, Hughes was a lonely, marginalized figure, seeking solace in fanciful dreams of recreating the unity of purpose which had existed amongst Irish nationalists in the years after 1916. She is buried in an unmarked grave at St Raymond’s cemetery in the Bronx. A dynamic, highly talented, and intelligent person who left little documentation to help explain her motivation and the apparent contradictions in her character and in her career, Hughes showed an amazing ability to transcend social, political, and cultural barriers, to accommodate herself to her new surroundings – whether on an Indian reserve, in the west, or amongst Irish activists – and to thrive. Yet, while her circumstances changed dramatically and transformed the political insider into a political outcast, her strong Catholic faith and belief in causes remained the cornerstones in her life. 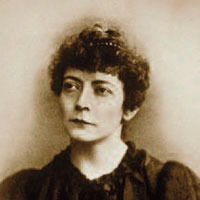 Although there is no clear suggestion of a reformist agenda in her attitudes to the role of women or the plight of natives, her discovery of her ancestral homeland, her avid and extensive reading about Ireland, and her experiences as an Irish activist developed in her a strong anti-imperialist stand. The detached missionary work amongst the Indians was replaced by a pledge, both reasoned and passionate, of self-sacrifice on behalf of Ireland. Hughes’s contribution on “Canadian forests and timber interests” appears in Canada, an encyclopædia (Hopkins), 5: 511–20, under the byline “Miss Catherine Hughes, of Ottawa.” In addition to the publications cited in the biography, her writings include Archbishop O’Brien: man and churchman (Ottawa, 1906) and English atrocities in Ireland; a compilation of facts from court and press records (New York, ). American Irish Hist. Soc. (New York), D. F. Cohalan papers. City of New York Municipal Arch., Dept. of Records and Information Services, Death certificate. NA, MG 27, II, D19, vols.9, 14; MG 28, I 232, vols.1–2, 11–12, 41, 43, 46; MG 30, D71. PAA, 74.350/81, 83–84; Arch. of the Oblates of Mary Immaculate, Prov. of Alberta-Saskatchewan, 71.220, items 6548–49; Orders-in-council, O.C. 12/11; O.C. 325/08; O.C. 627/14; O.C. 759/13. PARO, St Mary’s Roman Catholic Church (Indian River, P.E.I. ), Reg. of baptisms, 2 Nov. 1876. Richard Davis, “Irish nationalism in Manitoba, 1870–1922,” in The untold story: the Irish in Canada, ed. Robert O’Driscoll and Lorna Reynolds (2v., Toronto, 1988), 1: 393–415; “The Self-Determination for Ireland leagues and the Irish Race Convention in Paris, 1921–22,” Tasmanian Hist. Research Assoc., Papers and Proc. (Hobart, Australia), 24 (1977). Illustrated historical atlas of the province of Prince Edward Island . . . ([Toronto], 1880; repr. Belleville, Ont., 1972). P. E. Magennis, “Catherine Hughes – a memory,” Catholic Bull. and Book Rev. (Dublin), 15 (1925): 1045–54. Pádraig Ó Siadhail, “Katherine Hughes, Irish political activist,” in Edmonton: the life of a city, ed. Bob Hesketh and Frances Swyripa (Edmonton, 1995), 78–87; “Ó Emerald go hÉirinn (Spléachadh ar bheatha is ar shaothar Katherine Hughes, 1876–1925) [From Emerald to Ireland (A look at the life and works of Katherine Hughes, 1876–1925],” Irisleabhar Mhá Nuad [Maynooth Journal] (Maynooth, Republic of Ire. ), 1991: 13–39. Pádraig Ó Siadhail, “HUGHES, KATHERINE (Catherine) ANGELINA,” in Dictionary of Canadian Biography, vol. 15, University of Toronto/Université Laval, 2003–, accessed April 19, 2019, http://www.biographi.ca/en/bio/hughes_katherine_angelina_15E.html.